Cute babies, cute canvases, they just go together! If you're looking for ideas for decorating your baby's room, you've found the perfect place to begin. Capture all of your favorite baby photos and kid photos on canvas prints for gifts to the family, decor for their walls, or for your own personal keepsakes that will last a lifetime. Fall in love with canvas prints of your kids today, and join the thousands of customers who have fallen in love with Easy Canvas Prints! 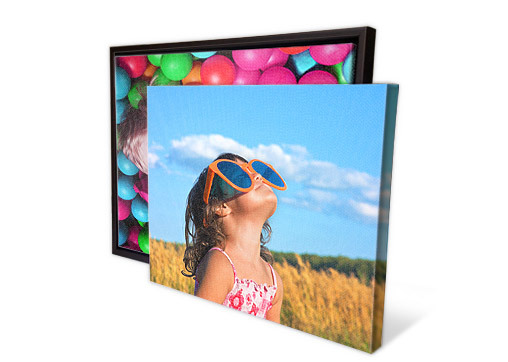 Remember your child's triumphs, toothy smiles, and stained shirts with a quality canvas art print. They decorated your walls with pencils and markers; now it's time for you to decorate with art prints of these fond memories.